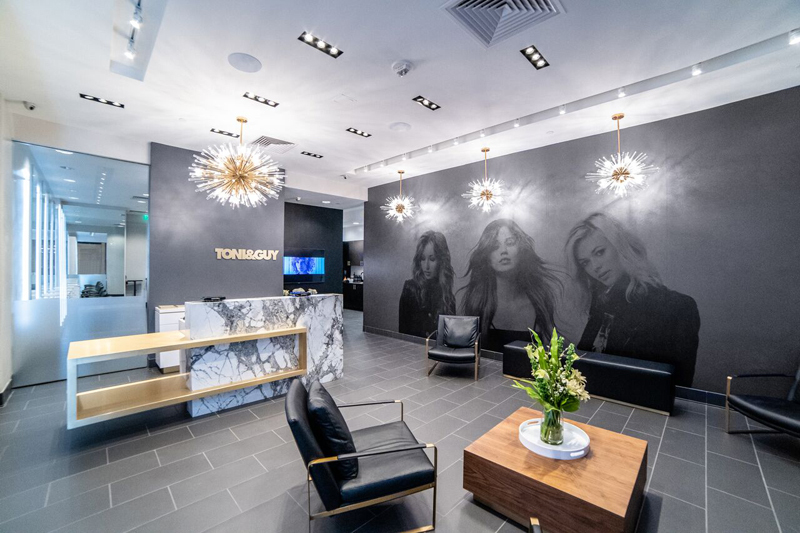 A living wall, matte floors and varying shades of white, black, and gray are all part the new look at TONI&GUY’s NorthPark Center salon. 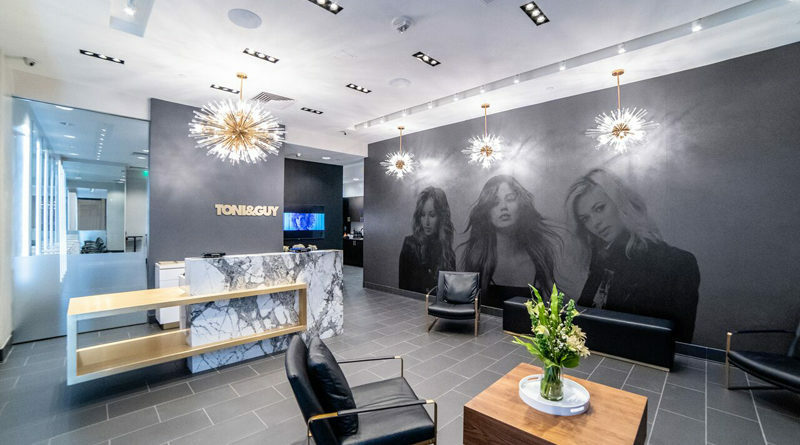 The Dallas salon is the first TONI&GUY location to be completely redesigned with the company’s updated brand aesthetic. The new design incorporates a variety of luxury and functional elements under the direction of CEO Zak Mascolo who wanted to bring his mantra “mind, body and soul” to life. Mixing soft-brushed brass fixtures with Carrera marble, matte floors with glossy cabinets, and monochromatic walls in varying shades of white, black, and gray for an intimate environment. Black leather Italian inspired chairs with gold arms throughout the salon stay true to the Britalian, British and Italian, heritage of the salon. 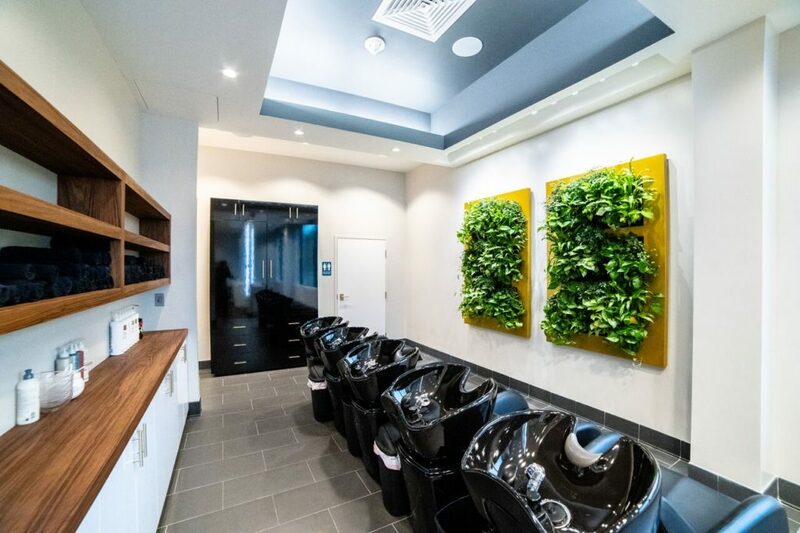 Artwork and textured murals of iconic hair designs enhance the space, many pieces from TONI&GUY’s most recent collection entitled “US UNITED.” A living wall in the salon’s shampoo area provides a burst of color along with hanging plants framing a tray ceiling. The most important new element was creating custom “high noon” lighting throughout the salon with specific 3500 kelvin light bulbs that provide the truest tone to natural light, minimizes strain on stylists’ eyes, and ensures better cut and color results. “I am a fellow hairdresser and I remember the days of standing for long hours and straining my body in the salon,” Mascolo said. 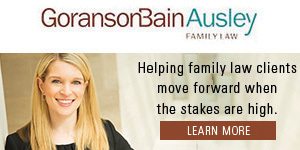 “My personal journey is to live a well-balanced life to ensure success in all areas. Mind, body, and soul are essential components to my daily routine. TONI&GUY is inviting the community to celebrate the new space with a grand opening party from 6 to 8 p.m. Feb. 27. Current and new clients are invited to stop in and experience the new look and feel with light bites, sips, and a DJ. Space is limited RSVP to [email protected].